http://www.kisalfold.hu/gyori_hirek/kutatomernokbol_lett_cipesz/2041213/ In it is to be seen István Fehér, Fils, the son, there already no longer young, holding what appears to be a pair of shoes-in-the-making, a direct copy of his father’s original design made decades earlier, the shoe, we are told, worn by his father to special occasions and the shoe shown in this listing. 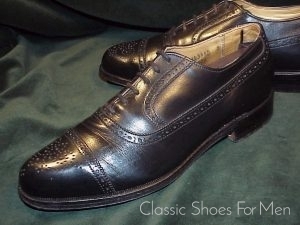 Neither father nor son are living today but their active production spanned more than a century. Suffice it to say that this shoe and another example by the son also listed in the website are of immense historical importance. 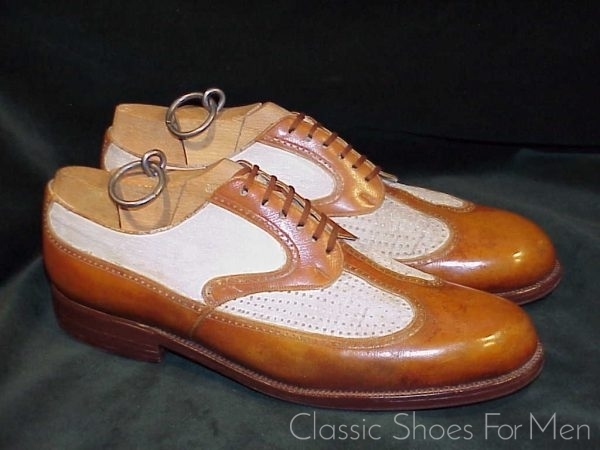 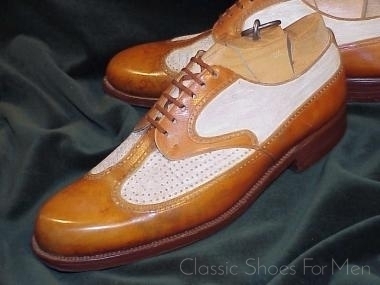 Notice the perforated vamp, the suede quarters and the discreet brogueing; together with the characteristic tall toe-cap of the Budapester, these make a singular impression, one that fairly broadcasts its bespoke origins. 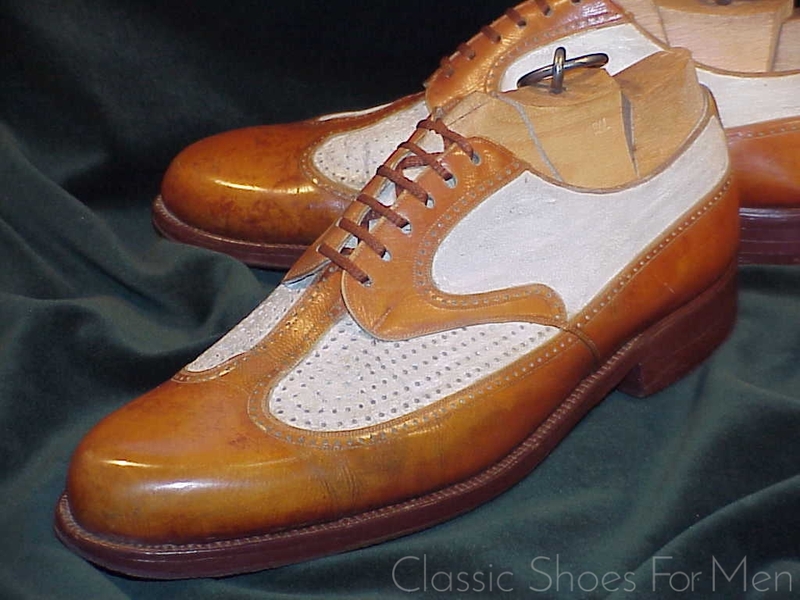 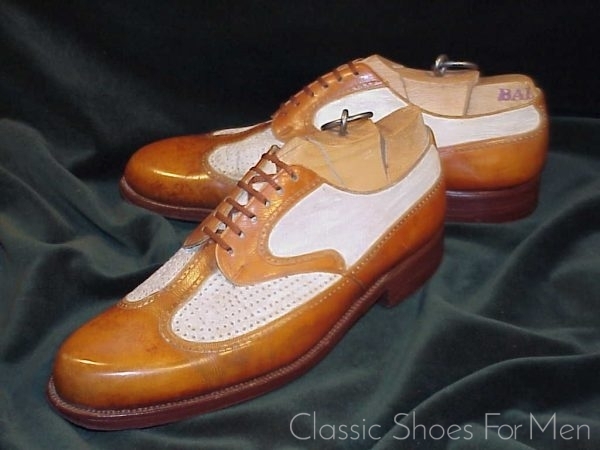 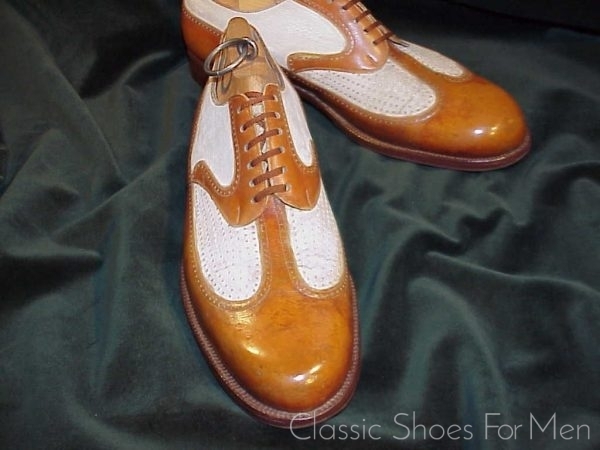 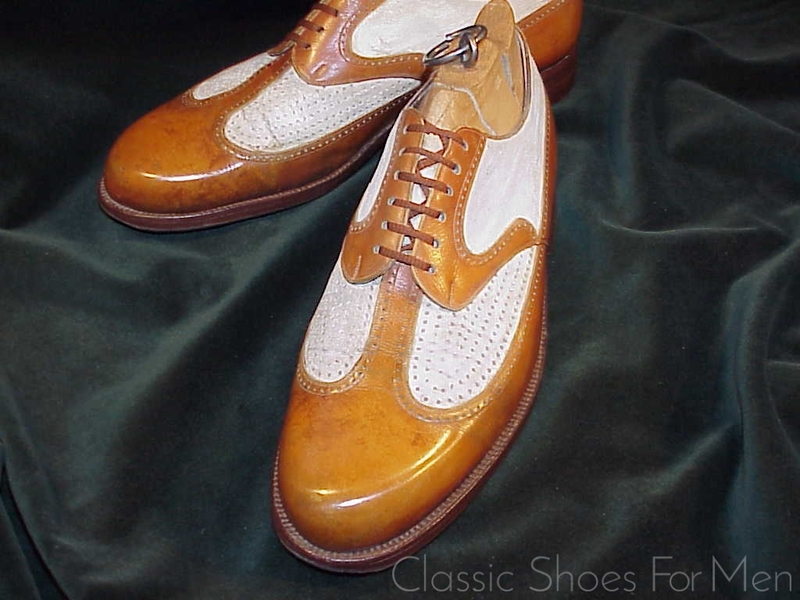 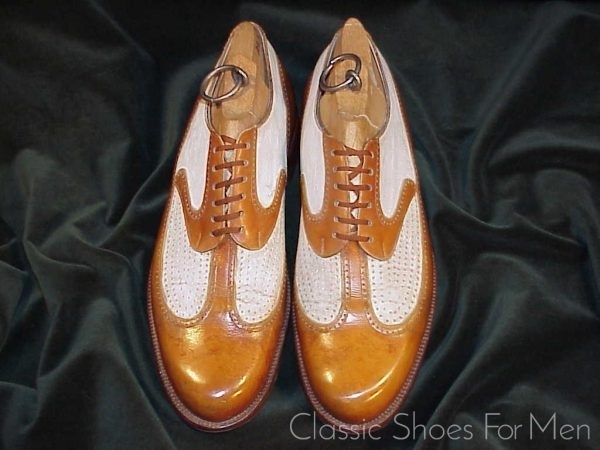 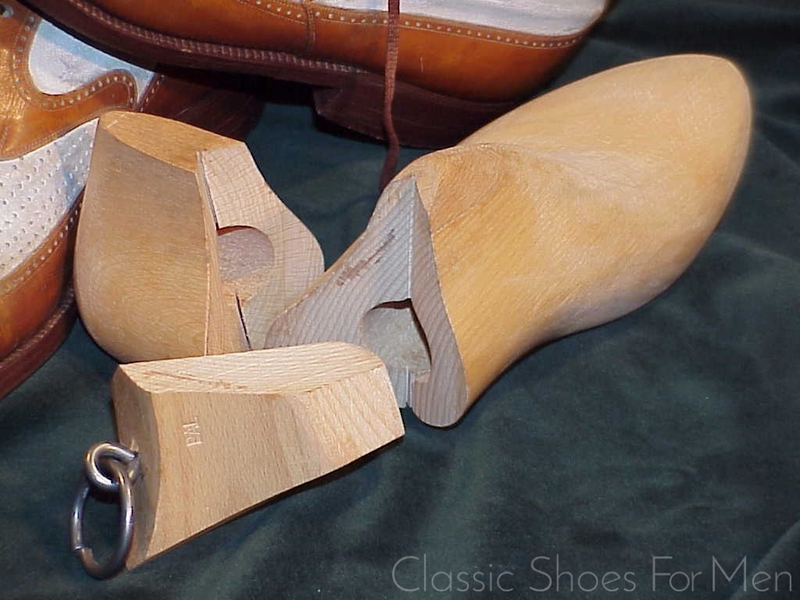 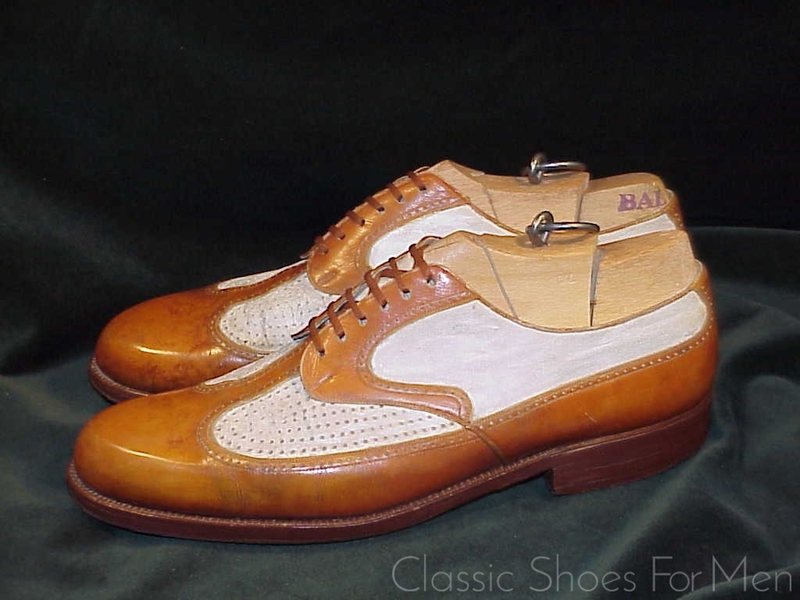 Original 3-Piece Shoe Trees are included. 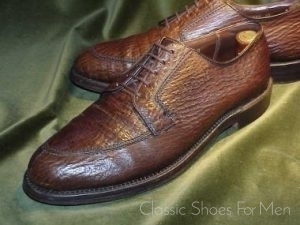 (custom-made, thus unmarked as to size, however, by my own measurements): Continental 42,5D....UK 8,5E.....US 9,5D, for the mid-width foot. 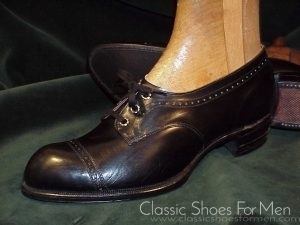 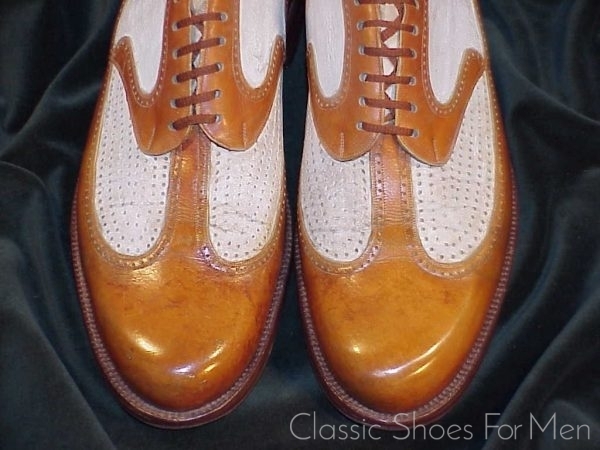 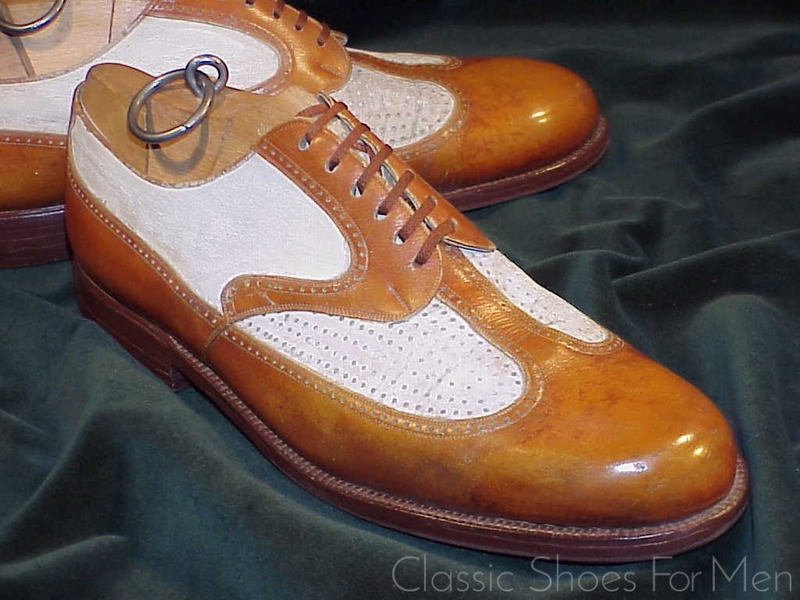 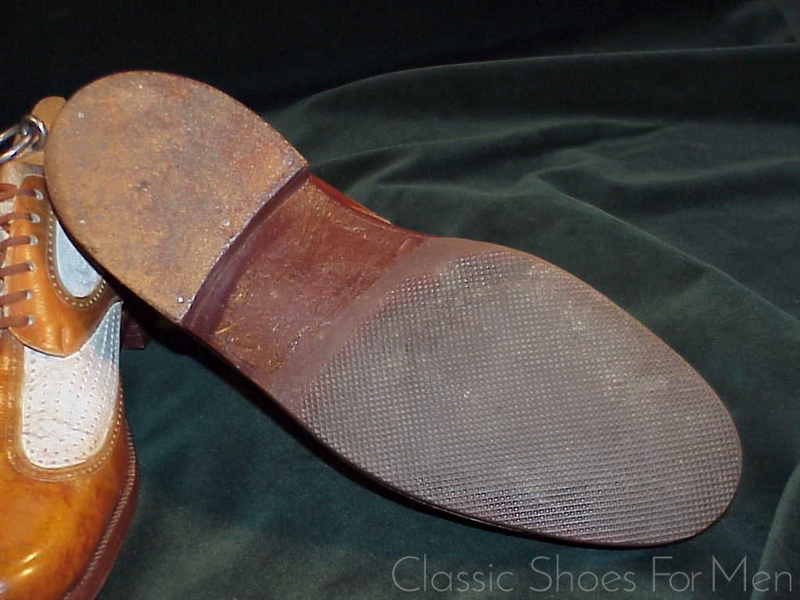 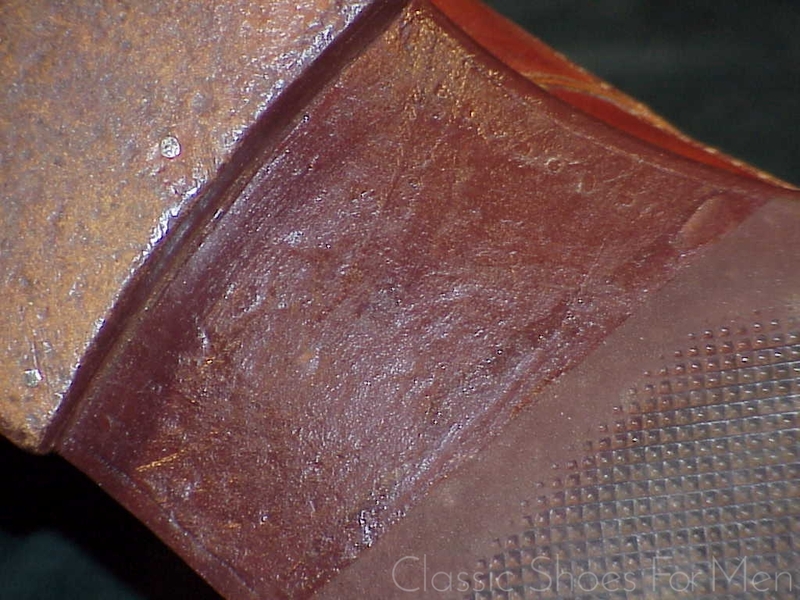 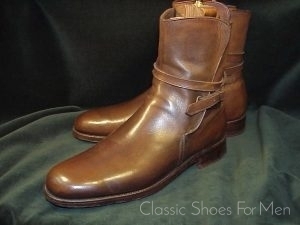 Superb, showing trivial wear, first slight rolling of the heel and with a new rubber sole protector added.